The website aiming to be the gold-standard for token sellers has been picking up the pace. Since spinning off from venture capital giant AngelList last October, New York-based CoinList has been able to make a spot on its website a coveted place for serious projects, even in a crowded market for compliant coin offerings. So, on Monday, the wider world of token entrepreneurs and investors took notice when the company opened registration for its fifth sale. The new entrant? TrustToken, a platform that aims to simplify trading real-world assets on a blockchain. TrustToken hopes to be a one-stop shop for those who want to launch such efforts, supplying the means for them to do everything from creating a legal entity for the asset and interacting with the fiduciary agent responsible for it, to fulfilling regulatory requirements and interacting with the blockchain. The trust token being sold then acts much like insurance does for traditional securitization. The smart contract will require that a certain amount of trust token be set aside for any given asset. Those doing so will take liability for the asset, guaranteeing it on behalf of its holders. Finer points aside, though, the addition of TrustToken is notable in that it follows just four previous sales held on the site: sharing economy platform Origin; live-streaming mobile app Props; decentralized web protocol Blockstack; and the token for cloud storage, Filecoin (whose creator, Protocol Labs, collaborated with AngelList to launch CoinList). So, even with the uncertain regulatory environment in the U.S. remaining, TrustToken may be a sign that things are again starting to accelerate. After a long lull following its Props sale in early 2018, TrustToken marks the second sale to go up in the space of a month. “CoinList Capital conducts a really thorough diligence process,” CEO Andy Bromberg said, speaking to its latest project selection. So, while not the largest raise on the platform, TrustToken is seeking a big ask from investors in what’s turning into a bear market year for cryptocurrencies broadly. With the listing, TrustToken aims to raise another $61 million selling 435 million of its ethereum-based trust tokens. (The company has previously raised $20 million in backing from major investors, including BlockTower Capital, Danhua Capital and Andreessen Horowitz). Registration for the sale (which will include know-your-customer and anti-money laundering checks) will remain open through July 17 and then sale will begin on July 18. The team has not set an end date for the sale, but it won’t raise more than its goal. Still, it’s important to note that money will be used by the team to prove out its model of asset tokenization, one where the token is used to decentralize a crypto method of underwriting. The more it raises, the more new tokens it can launch to prove out and refine the model. Once it has refined its model for tokenizing assets at scale, it will open up its platform for institutions to tokenize their own assets, with the eventual goal of letting anyone create a token that represents their own property. “We start with asset tokenization, but we think it’s really going to unlock human potential, and we think the last big thing to unlocking human potential is actually having democratized financial assets,” TrustToken CEO Danny An told CoinDesk. Right now, the company is best known for TrueUSD, a stablecoin based on the U.S. dollar that the company says can actually be redeemed for government-backed monies, but the sale itself is for the trust token, which makes this kind of offering possible. Under this model, trust token would be necessary for the creation of assets like TrueUSD. Provided it raises enough funding, it plans to replicate TrueUSD with the euro and yen, as it further refines its model. “Whenever you’re doing mini-IPOs of assets all across the world with different legalities and language, you kind of need a standard way of insuring that it’s a trustworthy asset,” An said. For high-volume assets, like a stablecoin, stakers would be remunerated with transaction fees, while for lower-volume assets, such as real estate, stakers will be paid out of inflation in the tokens representing that asset. As an example, if piece of land were represented by 100 TrueLand tokens, and the smart contract said that stakers would be paid 3 percent each year, three new tokens would be created annually and divided up among those guaranteeing the land for TrueLand holders. With a stake in place, that signals for investors looking for opportunities that an asset has merit. 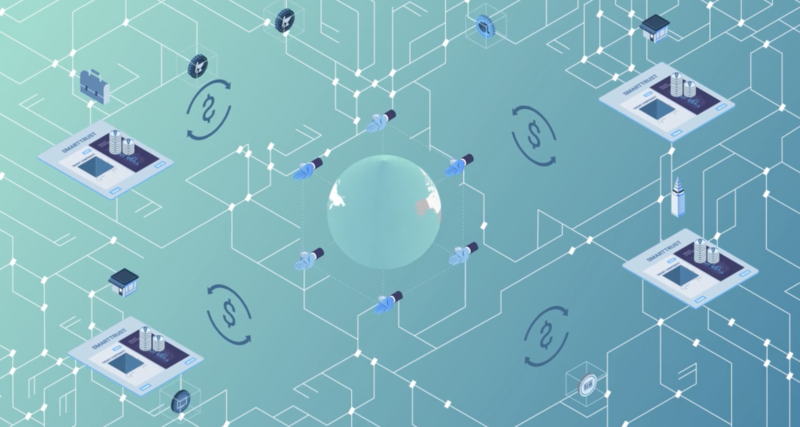 “Trust token is a way to essentially affirm where it’s worth it or trustworthy to send money to,” An explained. Despite these big goals, though, An’s team is proceeding cautiously and refining its model in house first. Following the release of the stablecoins it creates, his team plans to create tokens for real gold and silver reserves. Because it is providing the liquidity for each of these products, An explained, each new token dramatically increases the company’s workload, so it’s cautious about overstating expectations. In the next one or two years, it expects holders of trust tokens to be able to participate in staking, but it’s unforeseeable how soon it will be able to open up its platform for other entities to create new asset-backed tokens. For participants in the CoinList sale, the token itself should become available to buyers sometime between January 2019 and the first quarter of 2020. “We are essentially a securitization company, so we are waiting to be one of the last followers on SEC clarity on utility tokens,” An said.